Looking forward to Swann’s Fall 2015 auction season, especially The Art Collection of Dr. Maya Angelou. 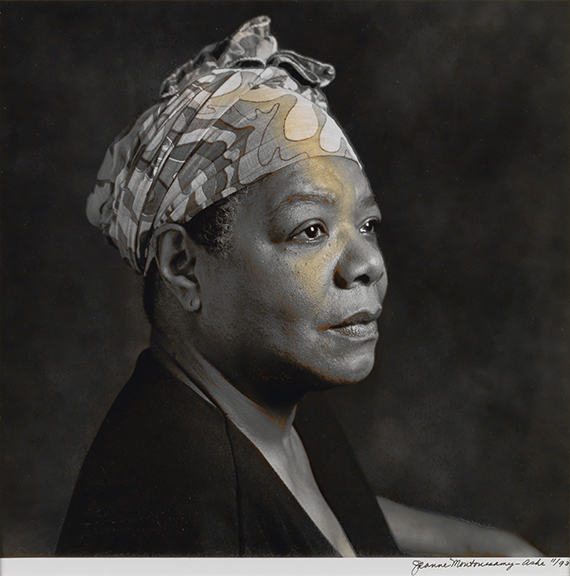 Jeanne Moutoussamy-Ashe, Maya Angelou, silver print, 1993. Estimate $1,000 to $1,500. Recently Swann Auction Galleries announced the news that on September 15 we will be offering The Art Collection of Maya Angelou at auction. The collection features more than 50 works from Dr. Angelou’s private collection, many of which have never been publicly exhibited. The works vary in medium and genre—from paintings, drawings and sculpture to photographs and collages—and reflect the visionary’s multifaceted interest and involvement in the arts. 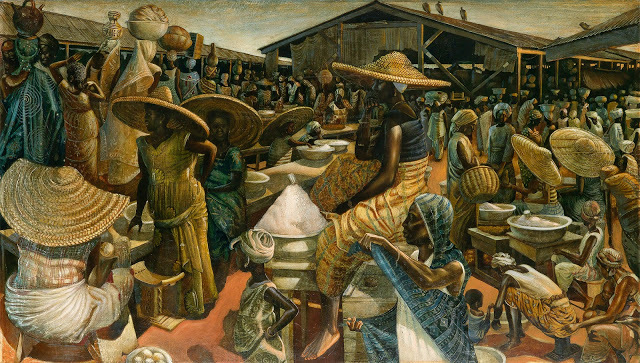 Many of the pieces are significant artworks by African-American masters, including Romare Bearden, John Biggers, Elizabeth Catlett, Melvin Edwards, Jonathan Green and Faith Ringgold. 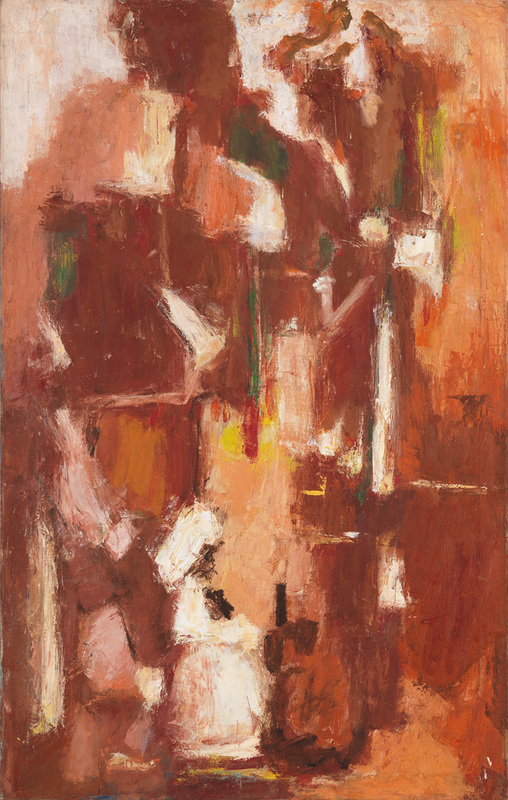 The preview will open to the public on September 9 and run through the morning of September 15 prior to the auction. Keep an eye on the Swann website for more information as well as the catalogue for this historic sale. 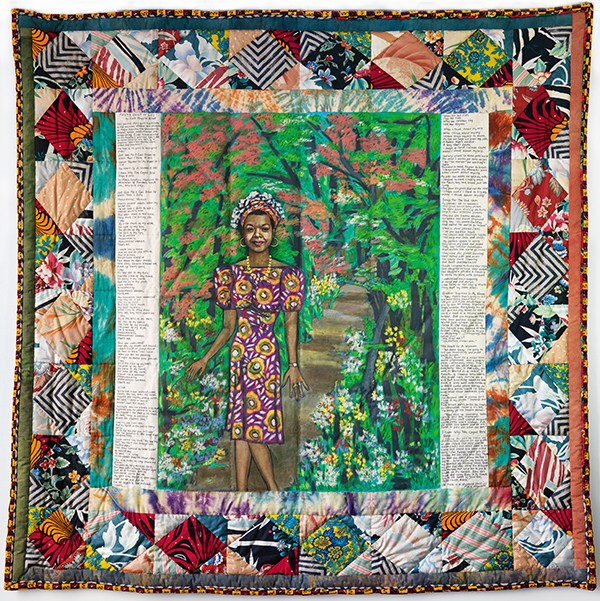 Faith Ringgold, Maya’s Quilt of Life, acrylic on canvas with pieced fabric border, 1989.